ELISA (Enzyme Linked Immuno-Sorbent Assay) is a highly sensitive assay, designed for the in-vitro quantitative determination of a multitude of soluble analytes such as e.g. cytokines, CD antigens, apoptosis markers and growth factors. The assay can be applied to samples from as diverse sources, such as serum, plasma, tissues, cell culture supernatants and other body fluids. The most commonly used Sandwich ELISA is based on a capture antibody being coated onto a plate surface, allowing the relevant antigen in the sample to bind, and then being detected by a second labelled antibody layer. A Competitive ELISA plate has the antigen bound the surface, and utilizes only one layer of antibody. Quantification is made by reading absorption in a spectrophotometer. A full ELISA plate is good for analysis of approx. 40 samples run in duplicates. Most plates are in a strip-well format, allowing for the use of down to eight wells at a time. 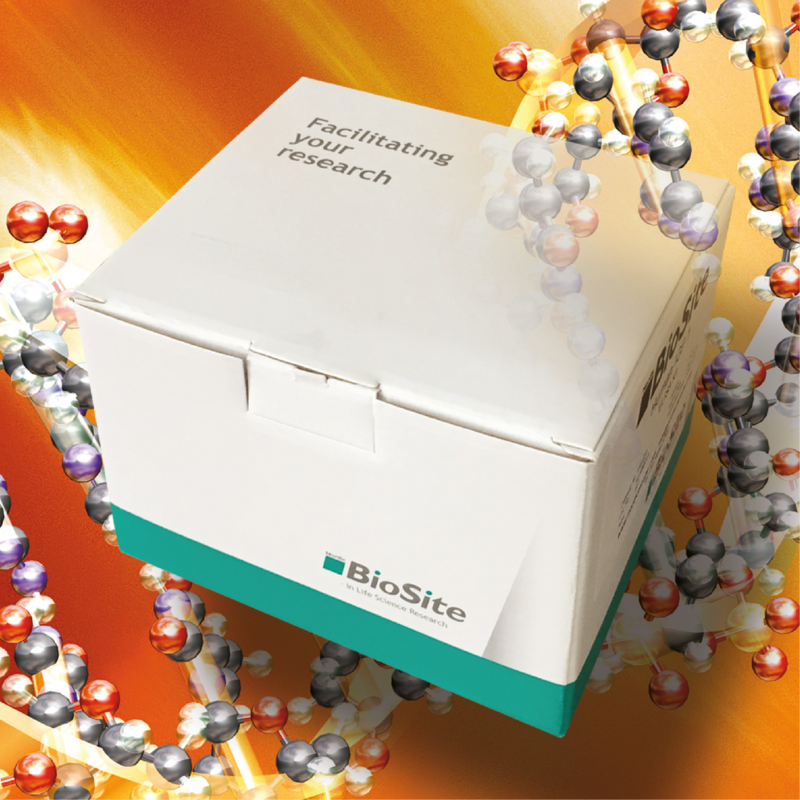 Nordic BioSite offers a wide and diverse range of ELISA kits and separate components. Please enjoy searching among a most extensive supply of assays for several species, as well as an abundance of biomarkers, including IL-6, IL-8, IL-10, EGF, VEGF and various cytokines. In our new folder, which you can view here, we present a selection of our top ELISA kit. For the complete range of products, please click HERE. Do not hesitat to contact us, if you have any questions about the products we offer. We are here to help!